← Hatch 1-The final round up. This project had needed to be done for a while but as often can happen, things get in the way and so it gets pushed to the side at times. The finished side looks great, amazing how many man hours it takes to do this type of work.. We were all surprised that given how bad it looks, that there were no leaks, and that the wood and such under it was in great shape. One more thing done on the repair list. 5 Responses to Getting it done..
J > Good quality resinous wood is naturally rot-resistant, and Canada (and Siberia) are the places to get the best stuff from. What’s the roof covering material on the main roof? 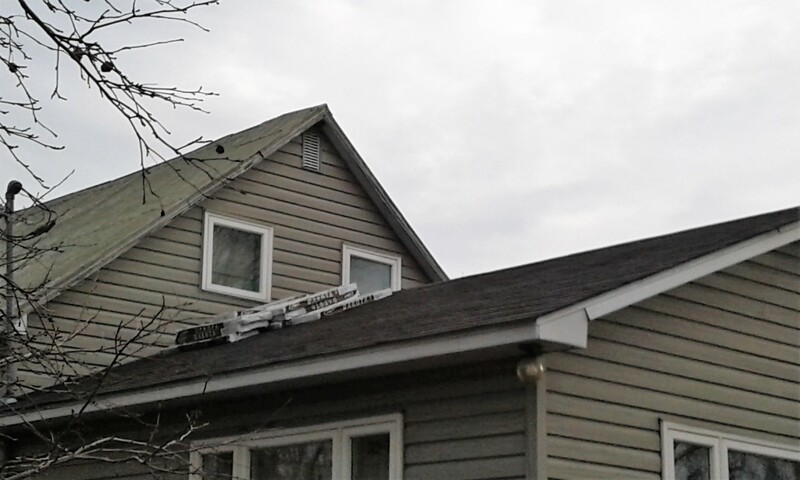 Hi J, the main roof is in tin and gets painted, and at some point, I will get the newer roof done into Tin as well.. I have a tin roof on the barn, the little barn and the sheds and for over half of the house.. but the newest addition is in shingles, they were 20 year singles and they lasted 18 years but really they should have been done at year 15 to 16 but no leaks etc.. the new shingles are rated 30 years, so I hope they will last 20 and then we will strap it and put metal over it.